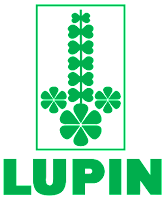 Drug firm Lupin Ltd today said its Pithampur unit 2 manufacturing facility located in Indore has been cleared by Health Canada after a review. "Following the review, Health Canada has maintained the compliant rating for unit 2 at Pithampur (Indore) and has issued a revised 'Establishment License'," Lupin said in a BSE filing. In November 2017, Lupin had received warning letter from US Food and Drug Administration for its manufacturing facilities in Goa and Pithampur, Indore.